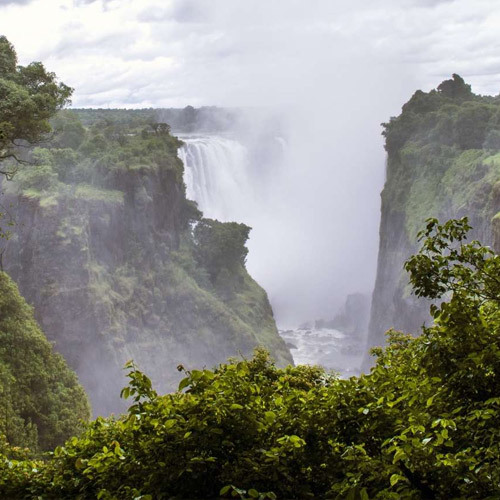 Experience ‘the land of mighty waters’ up close as you stare down at the thundering waters of Victoria Falls. Immerse yourself in Zambia, a country rich with stories and legends, where game is abundant and the land is lush. 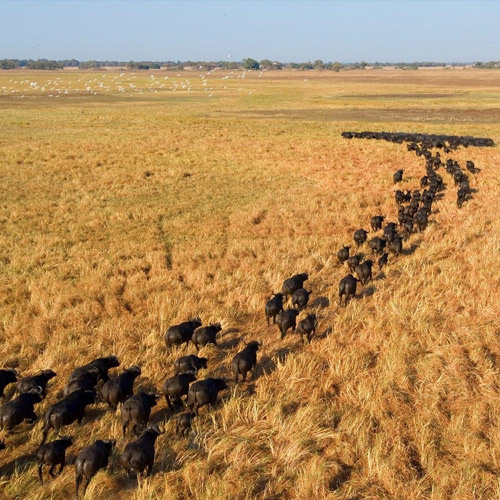 Kafue National Park – the biggest park in Zambia, and one of the largest in the world, this reserve spills into three of the country’s provinces and features an impressive range of over 400 species of birds and abundant wildlife. Lake Kariba – view the unique beauty of this great inland sea as it lies nestled in rolling mountains and guarded by large reserves of game. Livingstone Museum – this popular museum contains Zambia’s oldest collection of samples from the area’s prehistory, as well as fascinating photographs, musical instruments and memorabilia belonging to Livingstone. 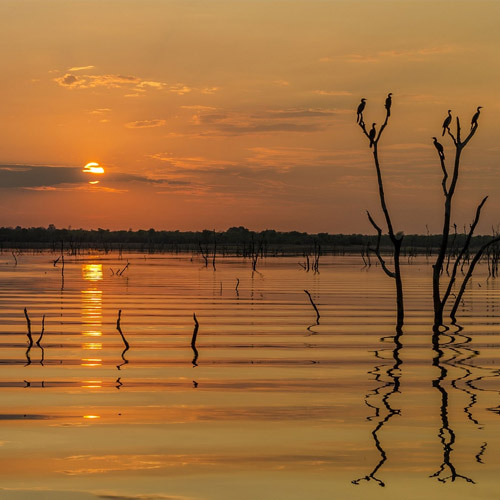 Lower Zambezi National Park – visit Zambia’s newest park, still relatively undeveloped, its beauty lies in its untouched wilderness. The park lies opposite the famous Mana Pools Reserve in Zimbabwe, providing a massive wildlife sanctuary on both sides of the river. Mosi O Tunya National Park – experience the true heart of Africa at this beautiful, yet relatively unknown game park situated along the upper Zambezi stretching from Victoria Falls to the Zambezi River. 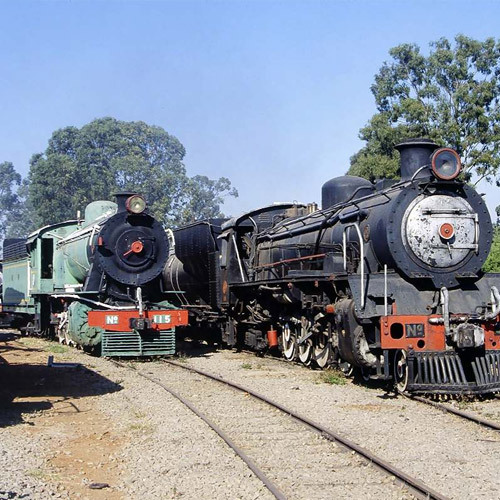 Railway Museum – visit this museum in Chishimba Falls and view some interesting examples of Zambia’s railway heritage, including old steam locomotives, vintage coaches and photographs illustrating life in the pioneer days of the town. 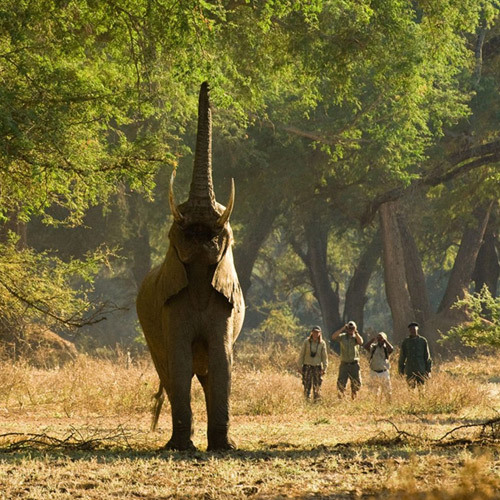 South Luangwa National Park – view the intense concentration of game around the Luangwa River and its beautiful lagoons. Victoria Falls – visit the awe-inspiring Victoria Falls, one of the Seven Natural Wonders of the World, located on the Zambezi River, bordering Zambia and Zimbabwe. The Zambian side of the Falls allows for great close-ups and interesting angles when taking photos of this natural wonder. For the adventurous there is the thrill of swimming in at the edge of the Falls in Devil’s Pool. Zambezi River – the fourth longest river in Africa finds its source in Zambia, and is a safari experience not to be missed. 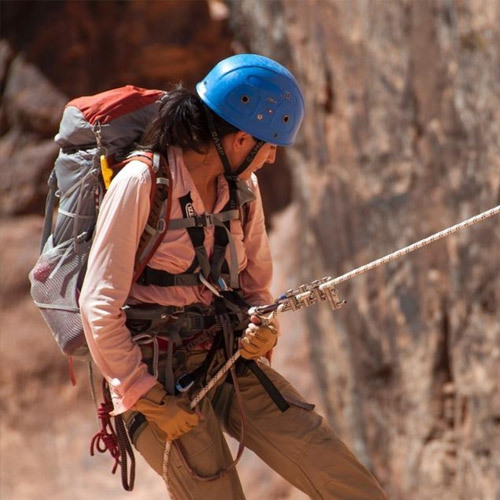 Abseiling – get your adrenaline going as you abseil down 54m of sheer cliff wall, face up and waist attached. You are completely in control and guided by an instructor all the way down. 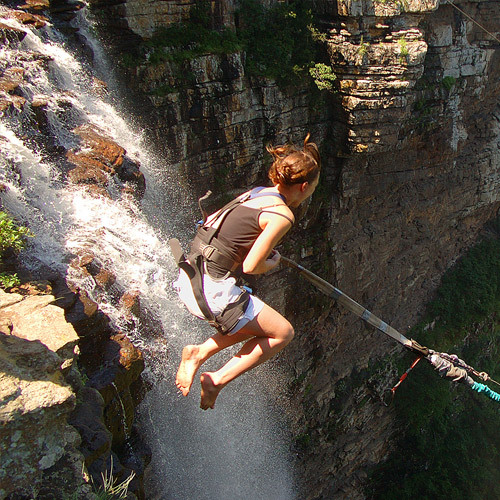 Bungee jump and gorge jump – go gorge swinging, launching yourself off the edge and free falling for 53m, ending with a huge pendulum swing as you are lowered into the gorge. 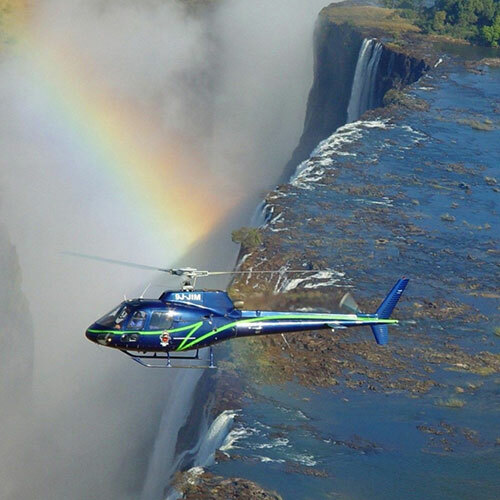 At 111m, the Victoria Falls Bridge offers one of the highest commercial jumps in the world. 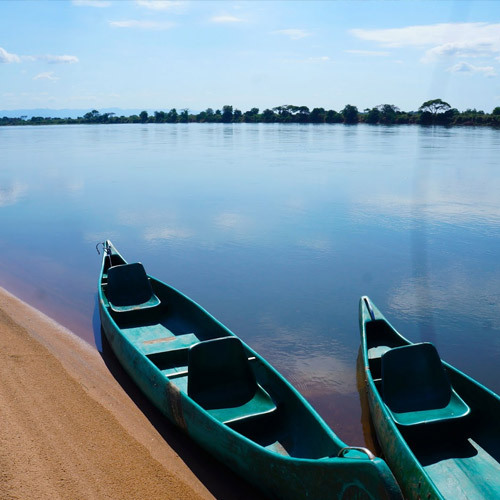 Canoeing – drift along at your leisure in a Canadian canoe as herds of elephant and buffalo wallow in the river, crocodiles slink onto sunny sandbanks and hippo wade by. Micro-lighting – the open cockpit of a microlight plane offers a unique way view game in their natural environment. These cleverly designed aircraft can fly very low to the ground for an up close adventure in the wild. Quad biking – discover the spectacular landscape on all-terrain quad bikes. These ultimate adventure vehicles allow both novices and experienced riders to explore the area at your own pace. Take in the panoramic views and wildlife with friends and family under the supervision of a qualified guide. Safari – stalk some of Africa’s majestic wildlife on safari through some of Zambia’s fine game reserves. Water rafting – Zambezi water rafting is internationally acclaimed as being the wildest in the world with rafting conducted on both sides of the Zambezi River, in Zimbabwe and Zambia below the Victoria Falls. Options include one-and-a-half day rafting trips or rafting expeditions. The winter months are generally the best time to visit Zambia, with September and October being really good from a game safari point of view. 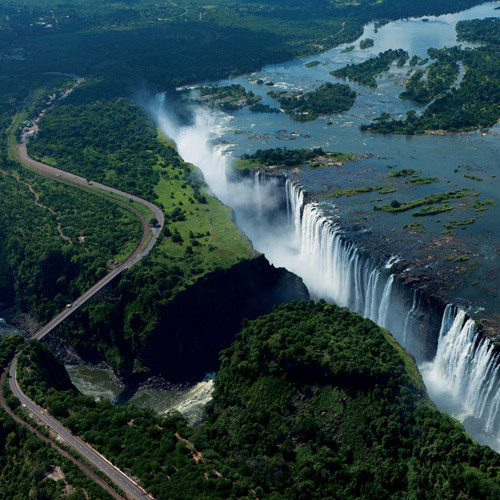 The months of May and April the Victoria Falls tends to be at it most beautiful. Just remember that the Falls “dry up” during the winter months of October to December. During these months the only good views are on the Zimbabwean side of the Falls. Local Language English, along with some major vernaculars including Bemba, Kaonda, Lozi, Lunda, Luvale, Nyanja and Tonga. Currency Kwacha, subdivided into 100 Ngwee. Ndiwo dish always served with nshima and often cooked from domestic and wild meats that include beef, goat, mutton, deer, buffalo, elephant, warthog, wild pig, mice, rabbit and others.